Modern, Chic, and Stylish. 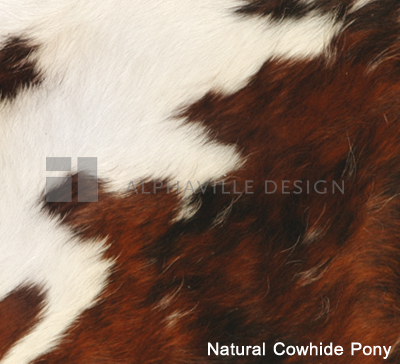 Natural pony hide upholstery features a random patterns of black, brown, and white colors and a wenge hardwood base. 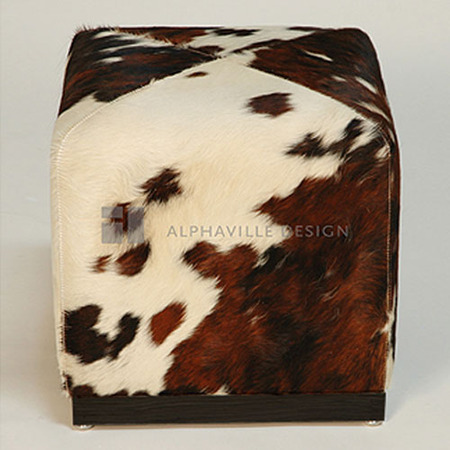 The Pony Cube Ottoman has limitless applications, it can be used as unique extra seating, a footstool, an end table, or just as a conversation-sparking accent piece.